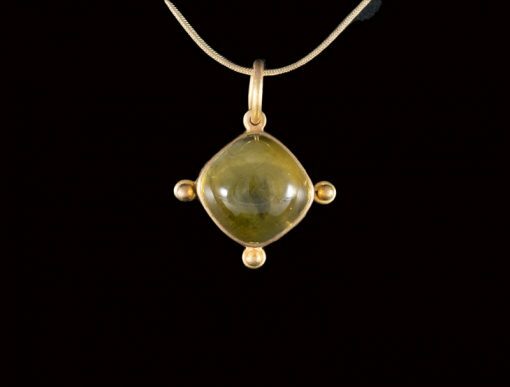 This little pendant has the most extraordinary coloured tourmaline; it’s called a Honey Tourmaline, but it’s got a hint of light green in it too; very different and very lovely. Set on the diamond angle, there is a little gold bead at each point of the setting which just complements the tourmaline perfectly and gives it an interesting little frame. The pendant is just 1cm across.